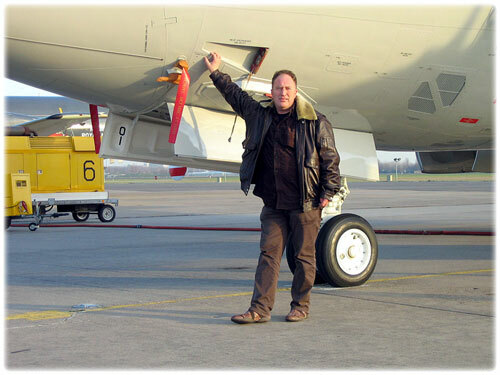 Hans was born in 1962, already when he was 15 years old, he visited NAS Valkenburg after school to see the Neptune's, Atlantic's, and the many foreign visitors. The used camera that time was a ZENIT camera, Russian quality, with some Tokina lenses, not the highest quality, but the start was there. 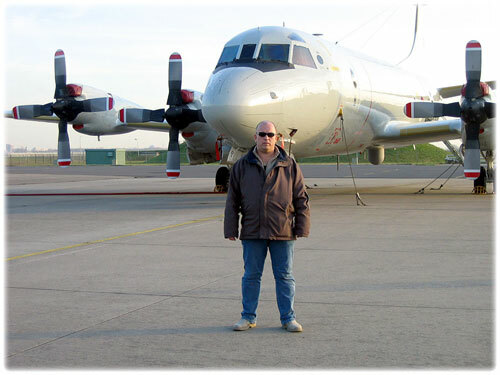 In that time we had a second military base in the neighbourhood, Ypenburg, as a base from the KLU, mant times he tryed to took some pictures also there, remember the Reforger exersises, with C-130's from the USAF and C-160's from the Luftwaffe. Regular visitors that time (end of the 80's) at NAS Valkenburg were C-118's from the USNavy, P-3 Orions from the USNavy, Argus from the Canadians, etc. In his personal archive we can find a lot of this old pictures, mostly at color slides and photo. After the withdrawn of the Berliner wall in 1990 his interest goes also to the Russian-made planes, like Mig's, Antonov's and more. In Poland he saw for the first time this types, some visits there were unforgettable. With the clossure of NAS Valkenburg in future, the price to pay for this is very high, unfortunately. Koos was Born in 1963, the interest in military aviation was born at NAS Valkenburg in the end of the 70's. Just right on time to see the last S-2a Trackers flying from the MLD, the Beechraft was just retired that time. The used camera that time was a ZENIT-B camera, this one is still in the collection as a souvenir, but of corse, not used anymore. With the arrival from the P-3 Orion at NAS Valkenburg in 1982, a new period of hunting was come, now every P-3 is many times pictured, the personal archive with this type is very big. In 1983 he served in the Navy for his duty, at Nas Valkenburg, also after this period he kept the contacts, and thanks to that, many you find him on the base Valkenburg. The result, a very big collection of Valkenburg visitors through the years 1983 to 2004. The first visit in the 'east' was made in 1990, when he visited the DDR, just on time to see and photograph the flying NVA with Mig's and other Russian-made types. After this many Russian withdraws were visited, like Finow, Sperrenberg, Falkenberg, Brandis, etc, this is the result of a very big Russian archive. Now, at this moment he visited also other east-european countries like Romania (three times), Bulgaria (two times), Poland (20 times), etc, the interest in the Russian build types will never go over again.